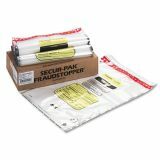 MMF Industries 16 Bundle Capacity Tamper-Evident Cash Bags, 20 x 28, Clear, 100 Bags/Box - Use Tamper-evident Bundle Bag to safely transport deposits to Federal Reserve Banks or transfer cash between internal branches. With a capacity of 16 currency bundles, this bag meets Federal Reserve Bank Guidelines for bank deposits.  It is made of a co-extruded recyclable plastic to prevent puncturing or tearing. The bottom of the bag is folded, not sealed, to further prevent unlawful entry into the bag. 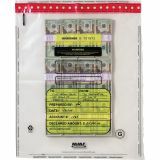 The bag also features a yellow shaded area for notations, unique alphanumeric numbering to ensure tracking and prevent thieves from replacing the bag, and a bar code for scanning. An added pocket is perfect for deposit tickets and other important paperwork.